Total Body Plan is a very effective personal training guide for beginners. Even top fitness experts learn the concepts presented in this book. 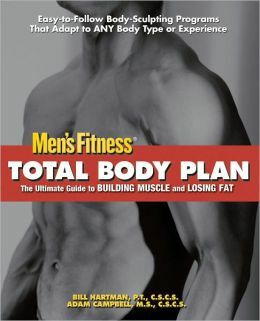 This book is a combined effort Men's Fitness, Bill Hartman and Adam Campbell. With the help of this book will be far ahead of the game from the start and that will translate into quick increases in muscle size and strength. Author-Men’s Fitness, Bill Hartman and Adam Campbell.